I made hexagons in the car on the way to church yesterday, on the way to lunch yesterday and on the way home yesterday. 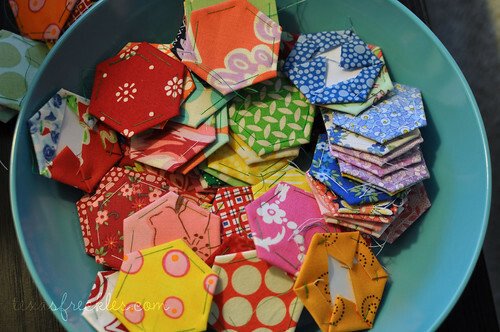 After cutting more fabric and paper, I made hexagons on the sofa watching What would Brian Boitano Make? until I dozed off. After dinner, I made hexagons while watching last week's Project Runway. (I thought Emilio's dress was awesome!) Then I cut more paper and fabric and made hexagons in bed last night. That is some serious hex making!! I didn't get to linger in (just got a few minutes here and there to peek in) blog land all weekend, so I am catching up this am...thanks for the awesome tip yesterday. 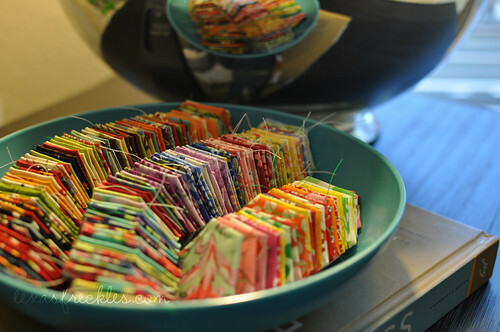 What a great idea, now I have to go find template plastic, I wonder if Joanns carries it?! Your history trip looks like it was a lot of fun, I love field trips like that! The pinatas are simply gorgeous and your photographs are beautiful. Wow, that's a lot of hexagons! Now just to sew them all together....!!! I'm super impressed . . I can't imagine that you made so many in one day! I'll have to scout around to see what you're planning on making! Holy hexagons! 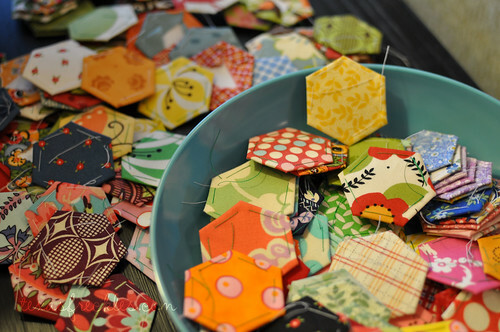 What will you make from that giant pile 'o hex's? Hello Melanie. You have a very nice blog! wow melanie, this is awesome! Hi - I'm new to your blog and am very inspired to start making some hexagons. I was very lucky to get to see the quilt exhibit at the Victoria and Albert museum in England. There were quite a few of the very old quilts on display from the 1700s and 1800s that were made using hexagons. 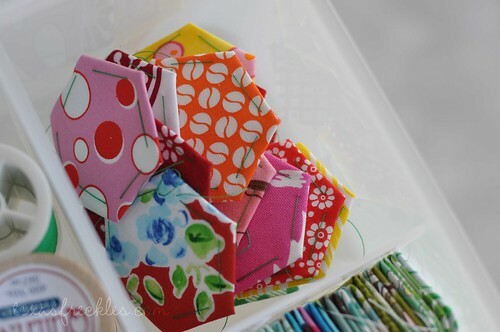 Such a timeless piecing method! omg. I absolutely am in love with all your hexes. I'm in the process of selling/buying/moving homes, but I am going to check out the hex along. I discovered and took the hex plunge last year and have a WIP scarf for my daughter (started medium!). I love all handicrafts, and am a beader first and for most. But I love love love hexes.